The 31st HIFF tickets are selling like soap! And when we say soap, we mean very high-quality high-demand soap! Most sought after films of the 31st HIFF are Boots Riley’s absurd science fiction magical realism masterwork SORRY TO BOTHER YOU and Panos Cosmatos’ heavy metal nightmare MANDY starring Nicolas Cage at his flabbergasting best. There are still tickets available for both films screenings. The visit of director Spike Lee is heating the Helsinki film crowds. The HIFF audience has been hoarding tickets for both SPIKE LEE MASTERCLASS & DO THE RIGHT THING event and the screening of BLACKKKLANSMAN. BlacKkKlansman is already fully reserved at the moment. There are still tickets left for the masterclass but we recommend being quick rather than sorry! Two other films of this year’s line-up are already fully reserved: Pawel Pawlikowski’s COLD WAR and the Golden Palm winner Hirokazu Kore-eda’s SHOPLIFTERS. But do not despair yet! The unclaimed reservations will become available on Tuesday September 18th at 12 pm. 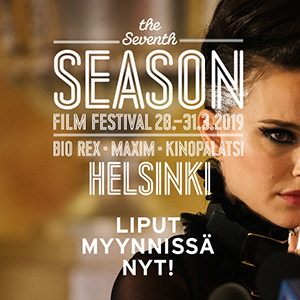 The HIFF audiences have bought loads of tickets for the Finnish Gala Film STUPID YOUNG HEART from director Selma Vilhunen as well as Anna Eriksson’s first feature film M.
Other fast sellers include Lars von Trier‘s newest angst piece THE HOUSE THAT JACK BUILT, Mamoru Hosoda’s anime MIRAI and U.S. indie masterworks FIRST REFORMED (dir. Paul Schrader), LEAVE NO TRACE (dir. Debra Granik) and THE MISEDUCATION OF CAMERON POST (dir. Desiree Akhavan). Having problems buying tickets? Look no further for HELP.